Australia banned Chinese telecom companies Huawei and ZTE from having a hand in building its 5G network to “hedge against adverse contingencies” in case friendly relations with the Chinese regime deteriorated, says former Australian Prime Minister Malcolm Turnbull. The two Chinese tech giants were banned from providing 5G technology to Australia on national security grounds under Turnbull’s government shortly before he resigned in August 2018. The difference between 5G networks and 4G or 3G networks is that in a 5G network, every component of the network can access every other part of the network, which could leave a network vulnerable. Turnbull said the decision to ban was “no criticism of either company or their technology” but was a reality of the nature of 5G technology and potentially volatile politics. “We have to, in an uncertain world, hedge against contingencies where people who we have friendly relations with, we may not necessarily be friends with in the near future,” he said in an interview with South China Morning Post this week. Canada is currently experiencing what could be described as “adverse consequences” due to relations with China getting rocky after the arrest of Huawei executive Meng Wanzhou last December at the request of the United States. Not only were two Canadians in China detained in what is widely seen as retaliation for Meng’s arrest, but China is now blocking imports of Canadian canola. The Australian government said in a guidance statement to carriers last year that it was introducing measures to mitigate national security risks to 5G networks. One identified risk was that of involving “vendors who are likely to be subject to extrajudicial directions from a foreign government that conflict with Australian law.” While the original statement did not mention China or name any companies, Huawei later confirmed on Twitter that both it and ZTE had been blocked from providing 5G network equipment. The United States, Australia, and New Zealand, all members of the Five Eyes intelligence alliance, have banned Huawei from developing their 5G networks. The other two members, Canada and the U.K., have not implemented bans, although the U.K. recently criticized Huawei for serious security vulnerabilities. The board overseeing Huawei equipment in the U.K. released a report on March 28 saying it could give “only limited assurance that the long-term security risks can be managed in the Huawei equipment currently deployed in the U.K.” They also said Huawei made “no material progress” to correct security flaws in its equipment that were brought up in a similar report from 2018. The ban in Australia left only Finland’s Nokia and Sweden’s Ericsson to supply equipment for the nation’s 5G network. Turnbull said it “beggars belief” that there were no Five Eyes vendors that could compete. “I think that was a big oversight on the part of previous American administrations. There is a lot of blame to go around frankly and that is something that has got to be addressed,” he said. The U.S. administration has adopted a hard stance against the Chinese regime in the name of national security. They have banned Huawei and ZTE from their 5G networks, and have warned other nations against using Huawei technology. The administration has charged Huawei and several of its subsidiaries in a pair of indictments for alleged fraud, money laundering, violating trade sanctions, theft of trade secrets, and obstruction of justice. Earlier this month, the United States warned Germany and other countries that there would be less intelligence sharing if they allow Huawei technology into their 5G network, reports the Wall Street Journal. 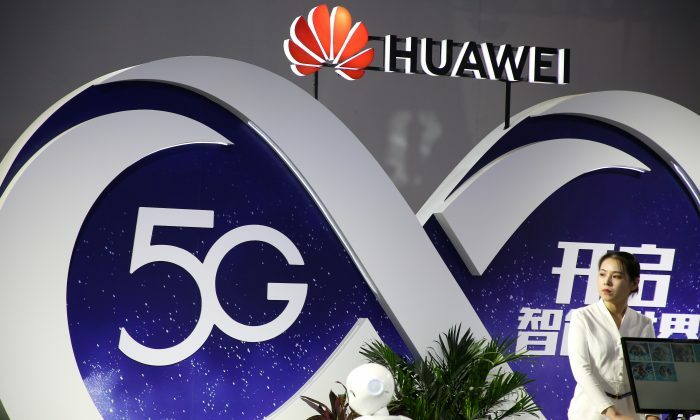 Germany has announced it would not ban Huawei from the country’s upcoming 5G auction, and instead has increased the security requirements vendors need to meet. The caution was directed at Canada as well, says a Canadian intelligence expert. “I think the cautions offered by the U.S. ambassador to Germany and others concerning Huawei and the 5G network are the most immediate of warnings to Canada about our country’s prospects vis-à-vis Canada-U.S. relations,” said David Harris, a lawyer and 30-year veteran of national security and intelligence affairs. Responding to questions on the warning, U.S. Secretary of State Mike Pompeo told Fox News Radio that the presence of Chinese equipment in a country’s network would mean Beijing would have access to potentially sensitive data. “When you talk about this happening in countries like Poland or Germany or the U.K., we’re very concerned about that, not only for American security because we have information stored, too, but for the security of their own people,” Pompeo said. Harris, currently the director of the International Intelligence Program of INSIGNIS Strategic Research, said that given the threat to Canada’s interests, the Canadian government should have banned Huawei a long time ago, a suggestion that echoes other Canadian security experts. “It is hard for me to believe that a company such as Huawei would not do the bidding of the Chinese government and would not build traps, back doors into its technology on behalf of the Chinese government,” former CSIS director Ward Elcock told CBC. Under Chinese national security laws, companies are required to support, assist, and cooperate with national intelligence work. While Huawei denies that Beijing is using their technology to install back doors and spy, security experts and governments have expressed security concerns over possible future threats presented by the regime’s many intelligence laws. “It is public record that under Chinese cybersecurity law, Chinese companies like Huawei are required to provide, essentially, access upon demand with little to no process to challenge that,” FBI Director Christopher Wray said at a press conference announcing U.S. indictments against Huawei on Jan. 28.